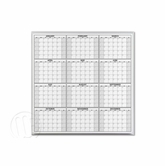 Twelve month dry erase planning calendars from OptiMA™. 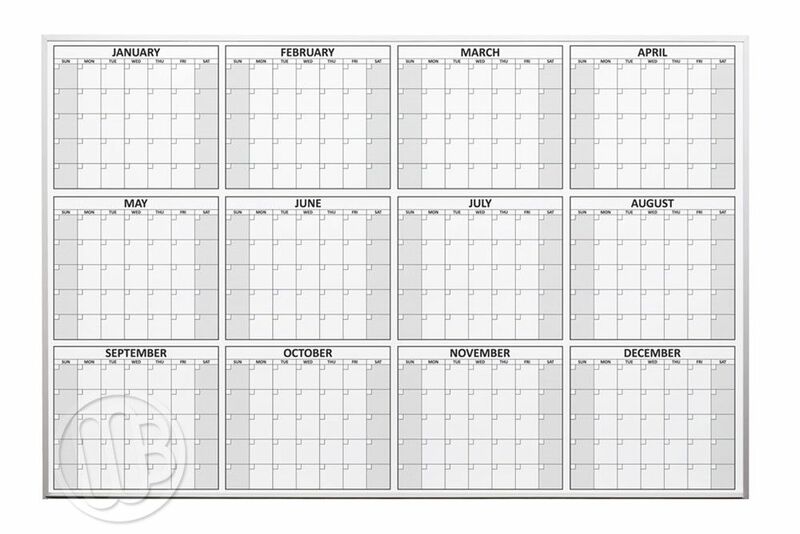 Special Feature: You get to select which month your 12 month calendar begins with. 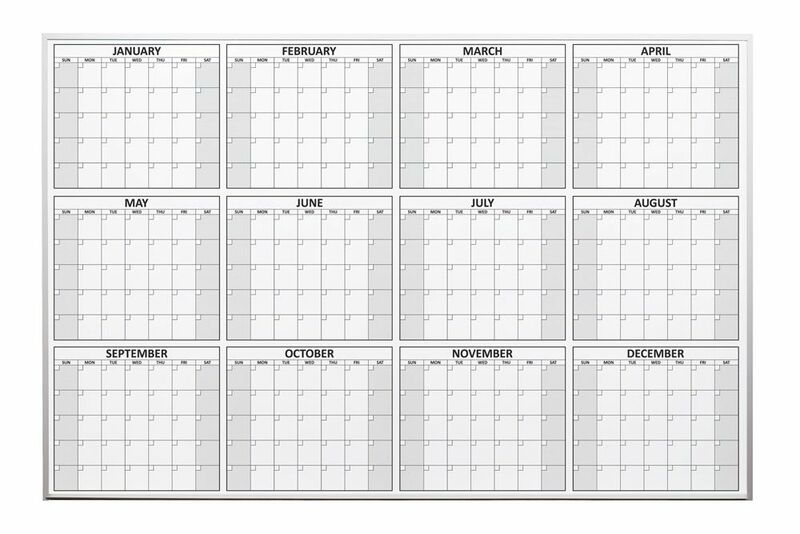 Schools often want their calendar to start with July, the first month of their fiscal year or in September when classes begin. 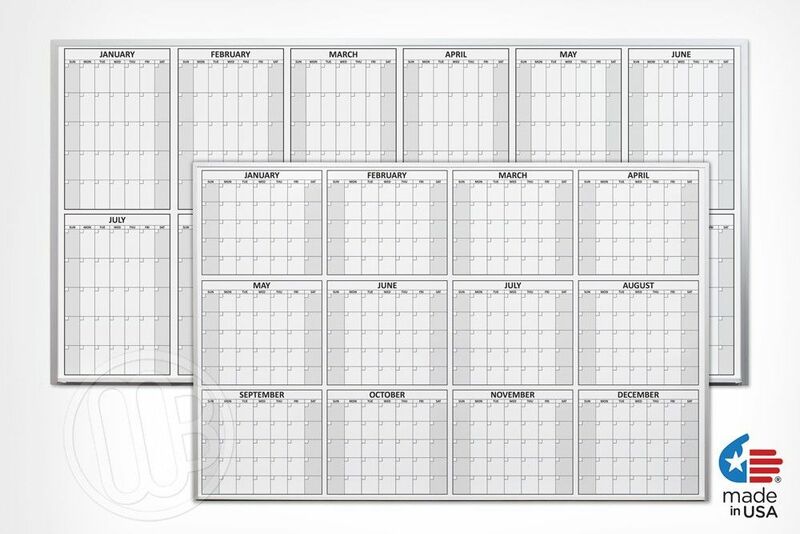 You get to start with whichever month suits your needs the best. 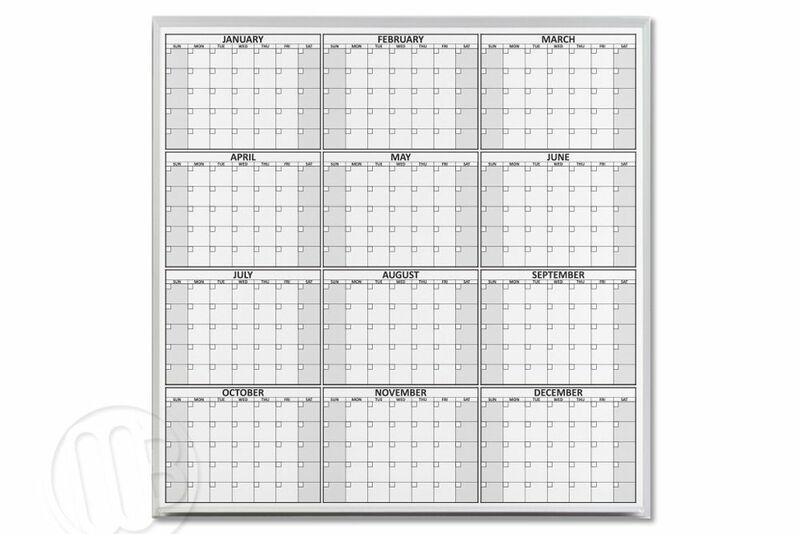 Select from three popular sizes; 4' high x 4' wide, 4' x 6' or the larger 4' x 8' magnetic receptive, dry erase, twelve month calendars. 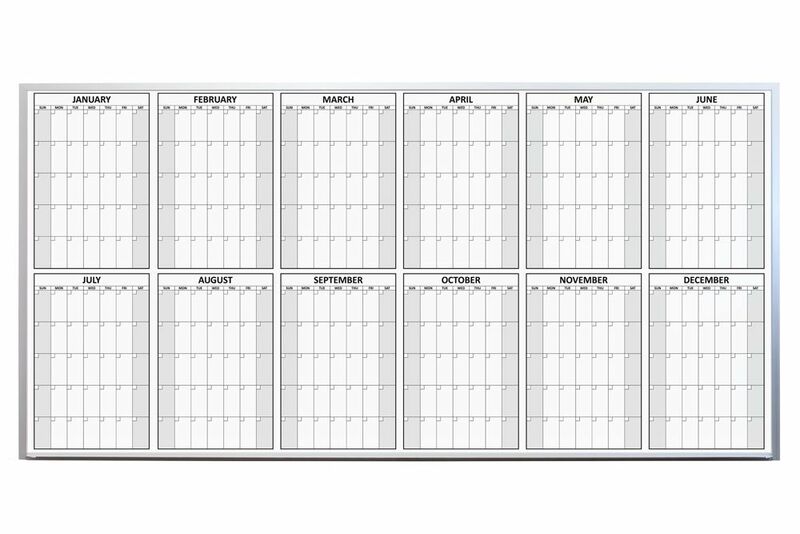 You'll have plenty of room to plan out your entire year. 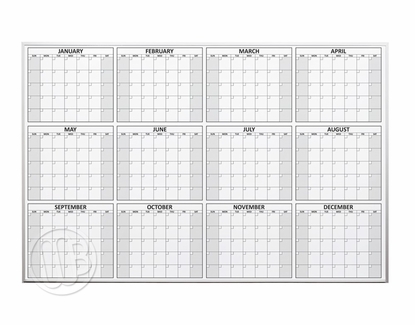 Each dry erase calendar is created with our exclusive OptiPrint® method. 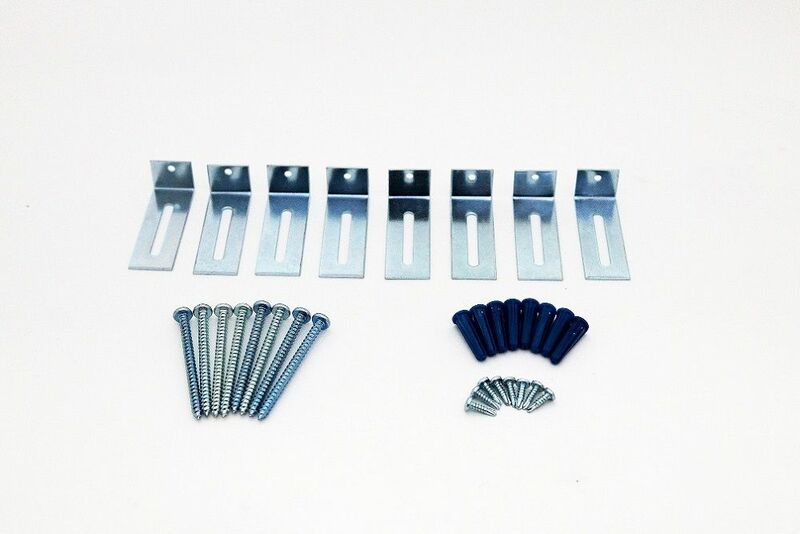 Our exclusive manufacturing process ensures that the print is permanent and the dry erase writing surface is the best you can find giving you years of trouble-free dry erase writing, planning and erasing.